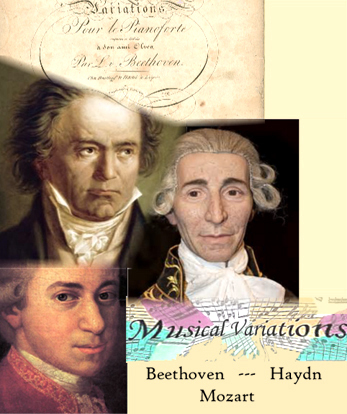 Classical music variations are a great in-road to fine listening. It is a way composers “discover” music themselves. Remember in the film, Amadeus, how right on the spot, Mozart made up variations on Salieri’s musical theme? A composer’s satisfying and perfected improvisation may become his composed variation in a written work. This seminar is an up-close exploration of the moods, changes, and making music ‘speak’, that composers used to vary their musical themes and elements, and ultimately served their overall concept in these works.